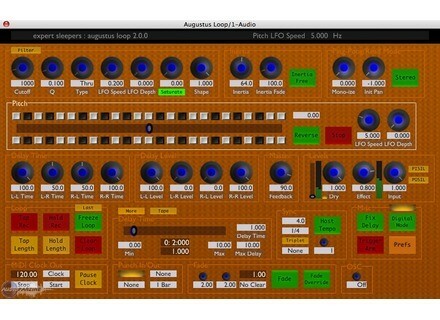 Augustus Loop, Software Delay/Echo from Expert Sleepers. 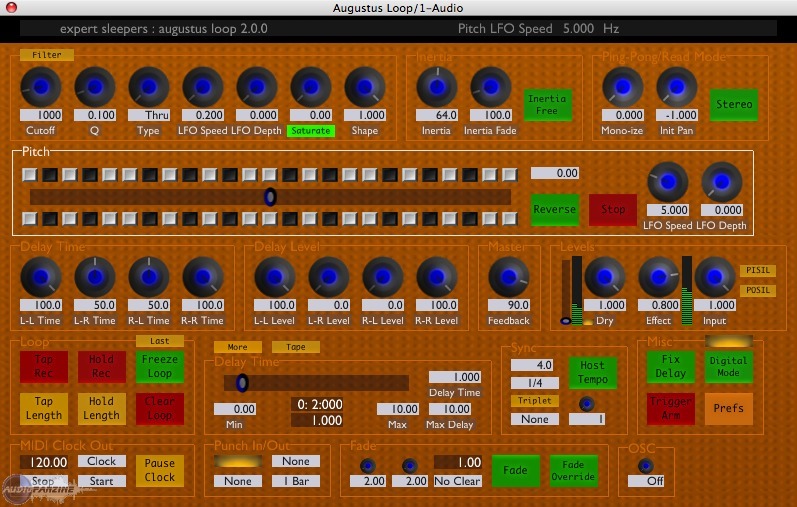 Expert Sleepers has updated the AU version of Augustus Loop to v2.0.3. This AU-only release is designed to "further improve the behaviour of parameter automation in Logic." The pitch buttons now cause automation to be recorded. The four delay time parameters (delay slider min/max, max delay and delay time) now use 'high resolution' mode automation. ProSounds Albino 3: Diversity Pro-Sounds has announced the availability of 'Diversity' for Rob Papen's Albino VSTi synthesizer. New Samplelord Update It's only been a couple of days since v1.5, and W.Grabowski has already updated Samplelord to v1.5.1. MacProVideo Pro Tools 8 Tutorials Online tutorial-video vendor macProVideo.com has begun releasing a new line of Pro Tools 8 training videos.